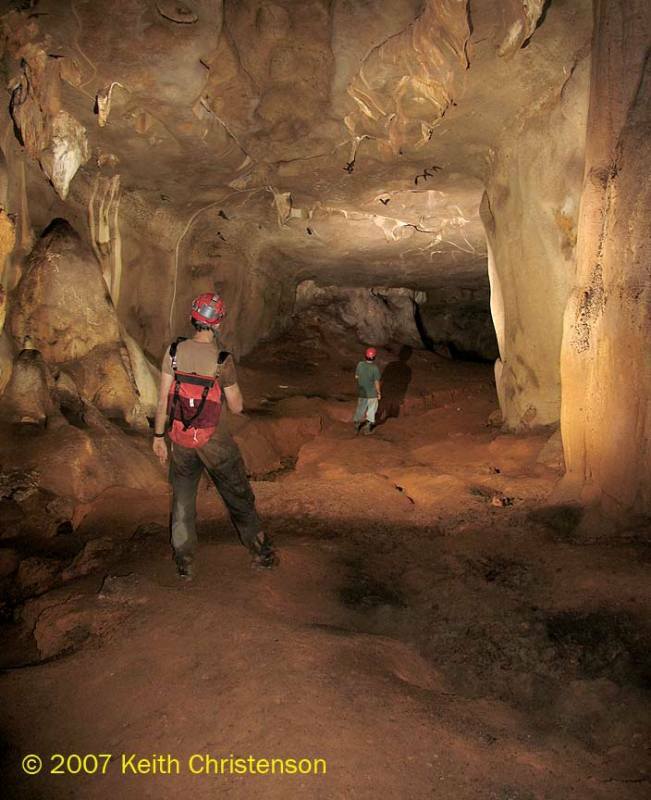 Olla Quemada is a cave in Costa Rica. It is a fine cave to visit, but not at all easy to get to. And there are no tour guides, visitor centers, or similar. To reach the cave one must do some hiking, and be able to climb 100-meter or more steep ascents. Depending on the approach, several such climbs are necessary. An overnight in the area is pretty much needed. The cave is in limestone, and has a reasonable array of calcite formations. The entrance area is in general a water insurgence, and the bottom of the cave is a drain which has not yet been fully explored (a trip in June should complete this). There is a fair bit of limestone in this area, but few other caves are known, even after questioning the locals in depth. One opinion is that since the limestone is roughly flat-lying, and the topography is very steep, there are few opportunities for water to infiltrate the limestone to form caves. Another idea is that the area just has not been looked at for cave entrances, which is true, but quite difficult to do given the topography.